There are few names in the Pakistani art history whose bodies might have left this eternal world but they have left a lot to cherish for their lovers and fans. Eqbal Mehdi is the name amongst those artists who are still speaking, teaching and communicating to the art world through their brilliant paintings and drawings. 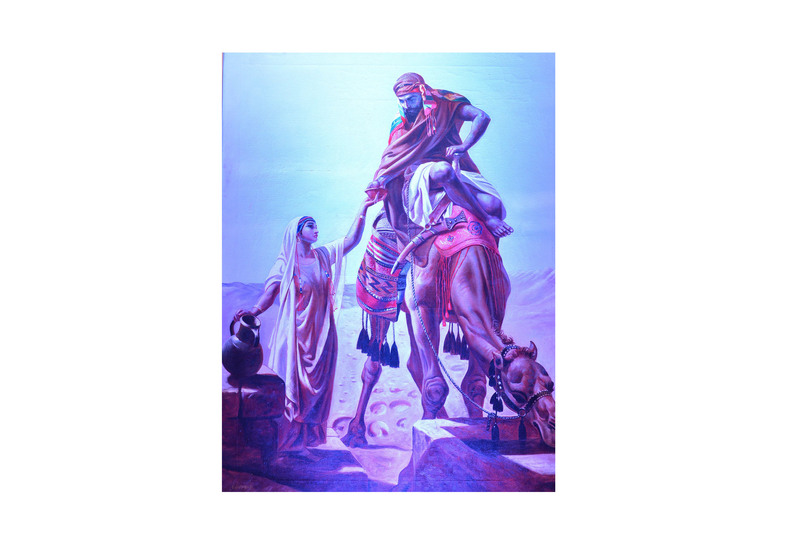 Eqbal was not only a self-taught artist but bestowed with an inborn talent of art which was polished and flourished in his mind and later blossomed in the drawings which he was, and still is, best known for. Eqbal’s was a realist artist highly influenced by the artists working with the same notion like Andrew Wyeth. 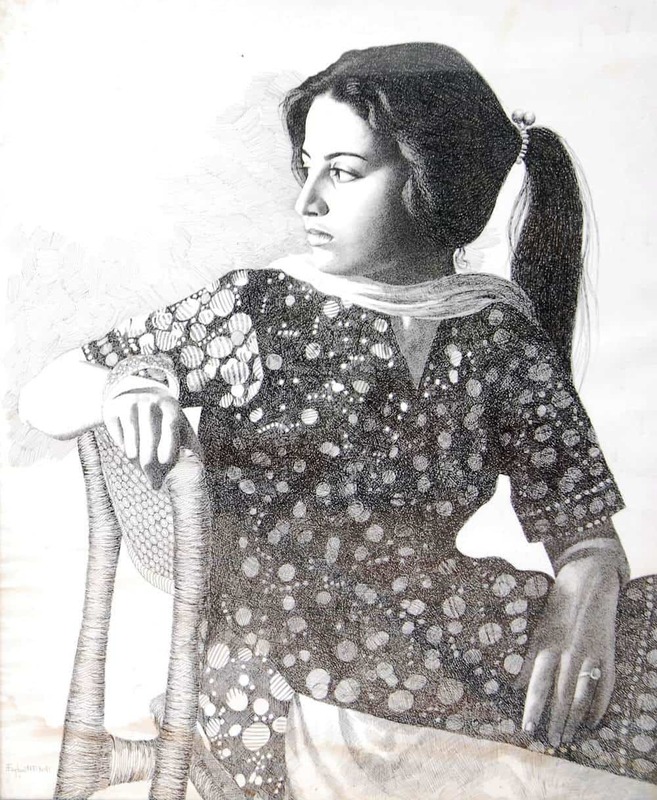 The subject he had chosen to draw were human, animals, landscapes and local men and women of Pakistan. His work showed a great control and command on the brush with small and big strokes whereas the pen and ink drawings, which are generally assumed to be darker and loud, actually were very detailed giving a sense of quality and realism – the artist emphasized on. 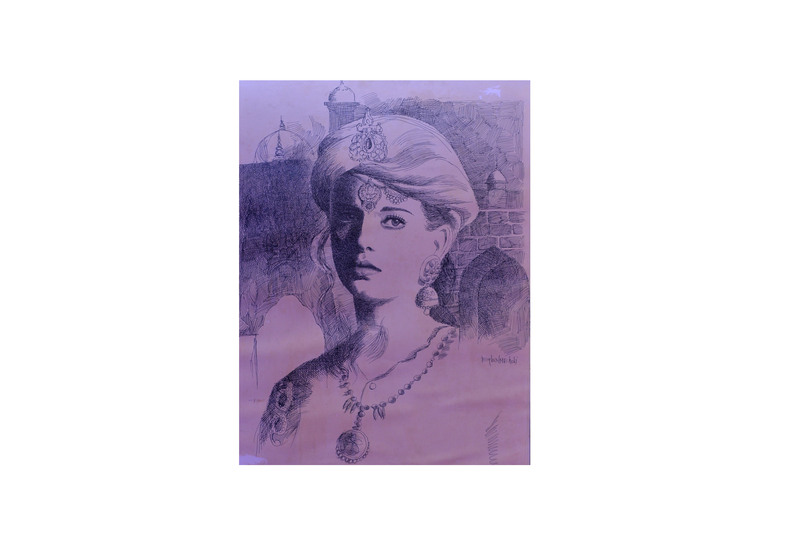 Among thousands of paintings and drawings one can easily discern the art of Eqbal which has detail and a play of light and shadows; either small drawings or large mural. Not even a single part of the canvas was ever left neglected, untouched or incomplete. His attention to details had always given a soothing feeling of patience and creating textures depicted joy in his work. 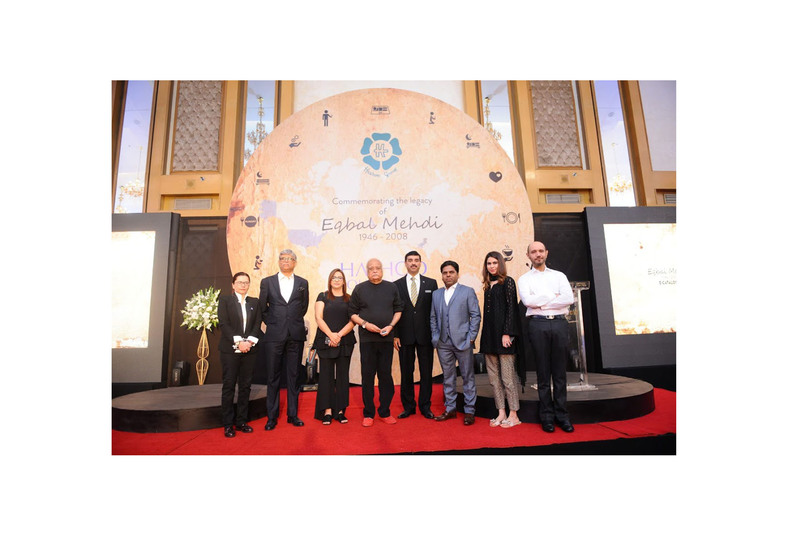 There were few who were fortunate enough to have Eqbal’s commissioned work straight from his own hands and Hashwani Group, holding a leading business portfolio today, was one of them who had an honor to embellish the walls of their hotels with Eqbal’s paintings back in the times when he was alive. The only legacy left behind an artist is his art, which he leaves to be utilized for a good cause. 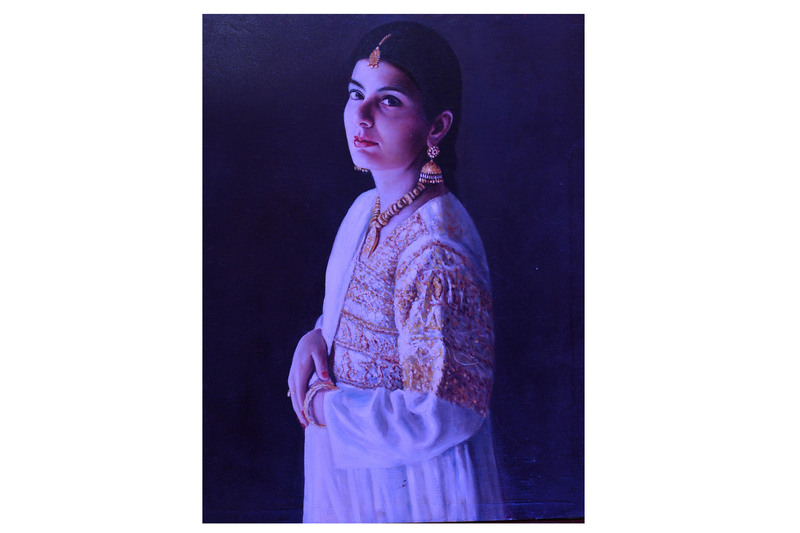 To commemorate the journey of this eminent and talented artist and to pay a tribute to his contributions in the field of art, Hashoo Group had decided to hold an auction of his painting for a noble cause to raise funds for their charity foundation. There were nearly 40 paintings were decided to be kept on display. The theme of the exhibition was “Spreading Smiles to Miles”. Art collectors, enthusiasts, artists, students, journalists and business class attended the show. There were a number of Eqbal’s paramount paintings that included his oil on canvas and his very own and signature pen and ink compositions. 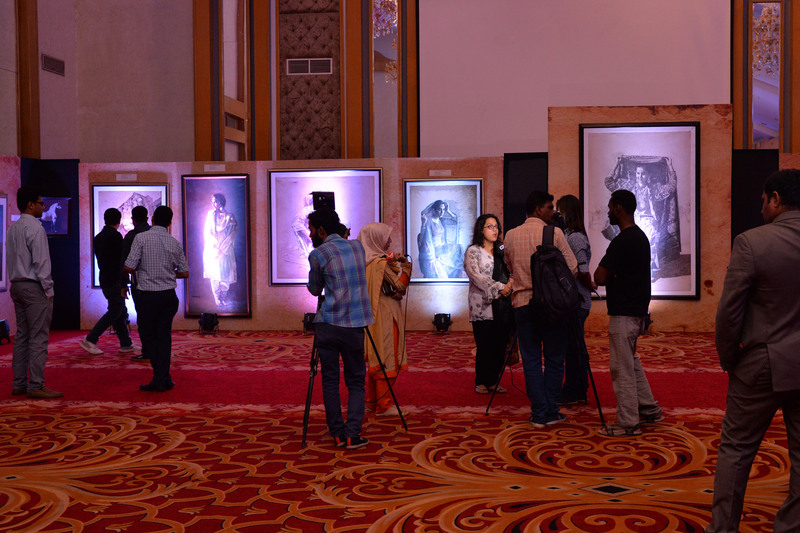 The exhibition took place at the Crystal Ball Room of Marriott Hotel, Karachi which was inaugurated by a renowned T.V artist and script writer, Anwar Maqsood. In his address to the audience, he recalled his and Mehdi’s friendship. He said that Mehdi was and still is not a common artist. His work has always been a choice of the people who has a sense of art.Thus, we see his collection in the houses of such personalities like the current elected President, Dr Arif Alvi. The spacious hall was heavily lightened and Eqbal’s mesmerizing pen and ink drawings and oil paintings were adding shine to it. 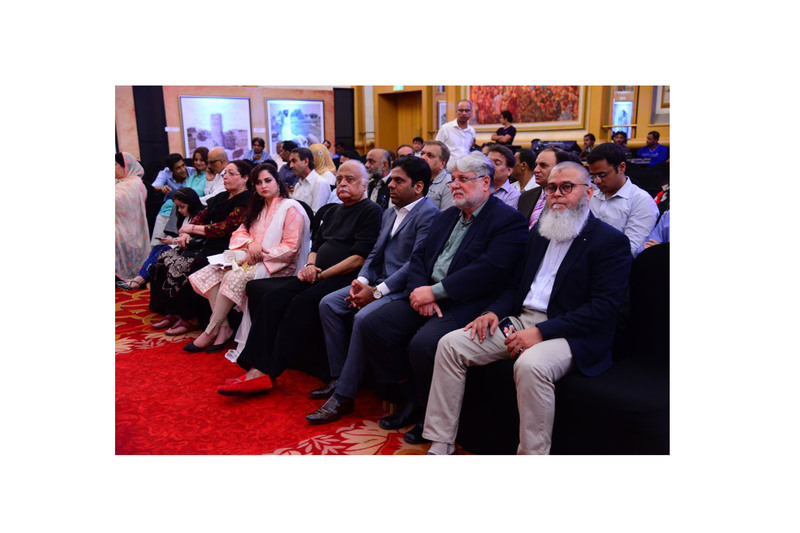 This fund raising art show drew a large audience to celebrate the struggle and successful journey of Eqbal, as well as many took part in the auction to laud his uncountable services for the art fraternity. 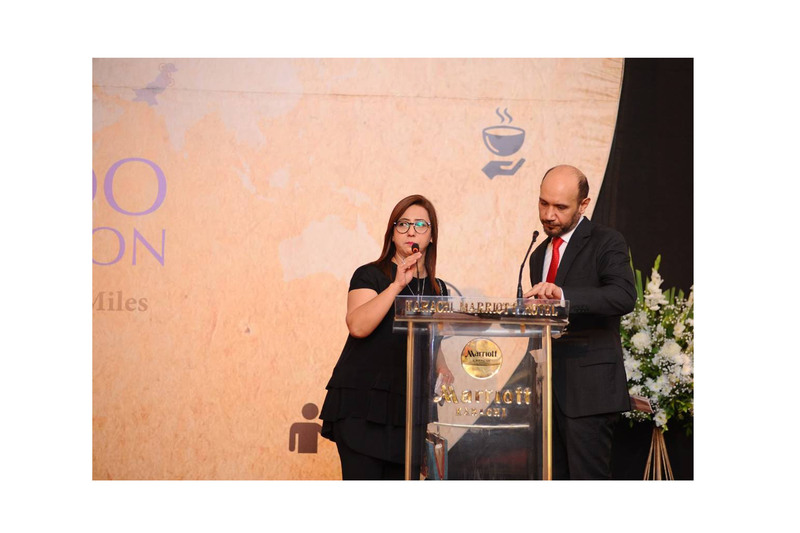 There are some hardworking people who convert the plans into reality and we would like to acknowledge the efforts put together by Mr. Sharafat Ali, Head of Group Hashoo Art & Antiques/Chairman’s Secretariat who conceived the idea of organizing first ever auction by Hashoo Group. His long association with Hashoo Group speaks volumes about the group and Mr. Sharafat for the immense value they add to the mission. 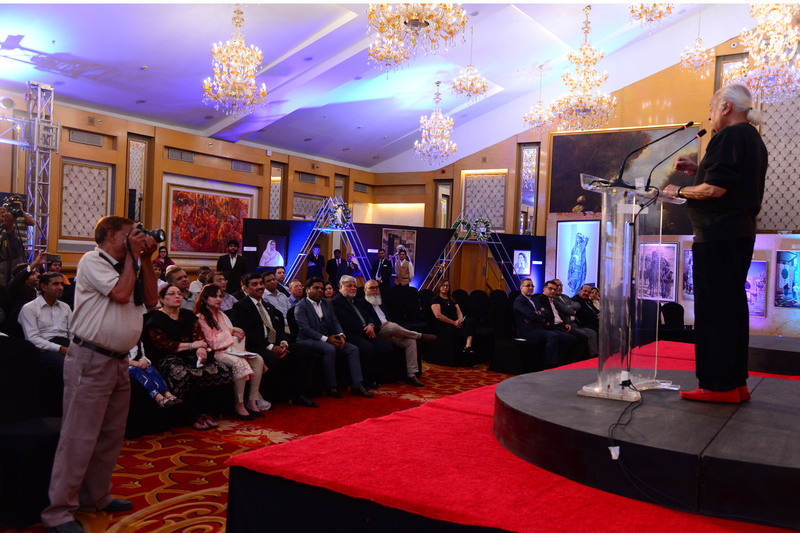 “By the grace of Allah, the initiative of Hashoo Group under the chairmanship of Mr. Sadruddin Hashwani, to put Hashoo Foundation “Spreading Smiles to Miles” Mehdi’s art collection on auction turned up into a great success. The contribution of art lover’s support to the mission of the Hashoo Foundation was more than the expectations. The two-day art exhibition to commemorate the legacy of late Iqbal Mehdi’s was a source of inspirations for the young artist”. The art exhibition was not only a marvel of Eqbal’s artworks but was also a call to contribute and raise funds for the needy. Nothing could be better for an artist to not only serve the art fraternity in his life but if his art could help humanity after him. Eqbal has done a major contribution to the art world through his art. This is our responsibility to carry forward the motives and serve art in the best way possible of such artists who had left their art for a good cause which was well-carried by the foundations like Hashoo Foundation who had done justice to it.